Get your Trove-ing in for the next five days, because everything will be going dark for a while next week — and it’s all your fault. On Jan. 19, Trion Worlds will be taking Trove offline for up to 48 hours as the game’s data storage system is moved to a new location. 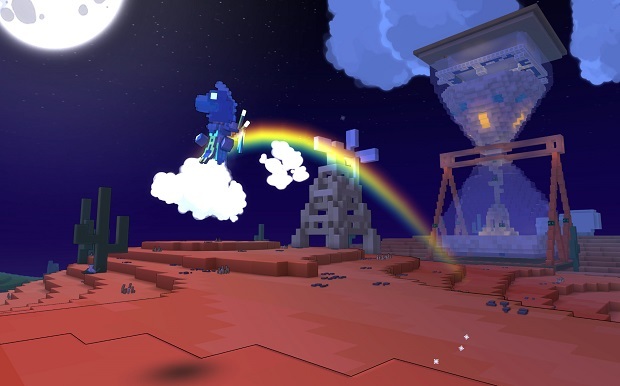 According to the official announcement, this migration is required because of instability brought on by the “vast, intricate” Club Worlds created by players, and Trove has simply outgrown its existing server structure. The downtime will start at 7:00 a.m. Pacific on Tuesday, Jan. 19 and is expected to run until the same time on Thursday, Jan. 21. As a reward for patient fans, anyone who logs in once the game comes back and before Jan. 24 will receive a Chromatic Cumulus mount, five days of Patron status (for ranks 20 and above) or an additional five days for existing patrons, and double PvP XP through the 24th. Should stay offline forever, ay lmao.